Please check the items on the About Us and Paddling menus for complete information about what we have to offer. Joining HASK is easy! All you need to decide is whether you want an individual or a family membership. Individual membership dues in HASK are $25/year and family membership dues are $40/year. 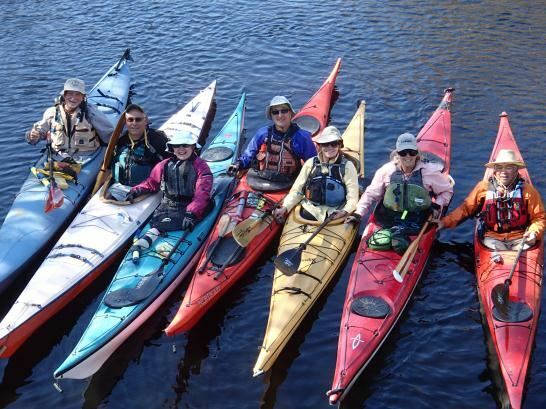 HASK is an American Canoe Association (ACA) Paddle America Club. As a Paddle America Club The ACA provides insurance for our trips. HASK members are required to maintain membership with the ACA. ACA membership is $25 per person (no family memberships). During the sign-up process we will ask you to either join the ACA or provide your ACA number. The combined first year’s HASK/ACA dues are $50 for an individual and $90 for a family of two (HASK family membership of $40 two ACA memberships at $25 each). Select Join Now to be guided through our sign up process. You will have the opportunity to pay online or you can send us a check. You’ll be on your way to sea kayaking adventure in no time!